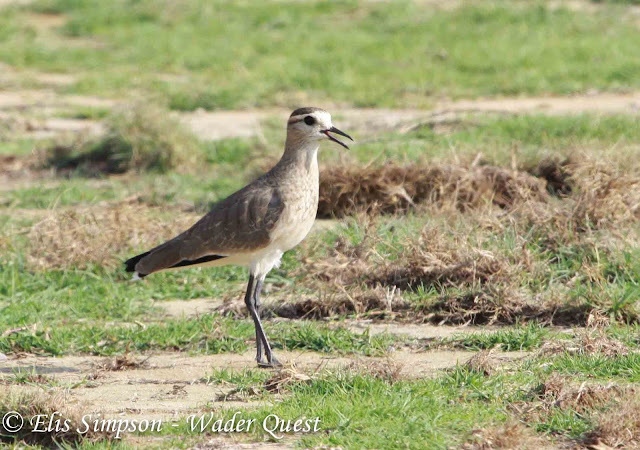 Wader Quest: European Red List waders. The European Red List of Birds is a review of the regional threat status of the 533 wild bird species occurring naturally and regularly in Europe, according to the IUCN Regional Red List Guidelines. It has just been published and it makes grim reading especially the list of Vulnerable species many of which we have long considered relatively common; Eurasian Oystercatcher, Northern Lapwing, Eurasian Curlew, Black-tailed Godwit and Curlew Sandpiper. Common Buttonquail Turnix sylvaticus (note: WQ has not yet adopted this species as a wader). Apart from the inclusion of the buttonquail which we used to call Andalusian Hemipode, a much more romantic name, it is worthy of note that Baird's Sandpiper is included. This is due to a breeding population that breeds in Greenland which pertains to Denmark.